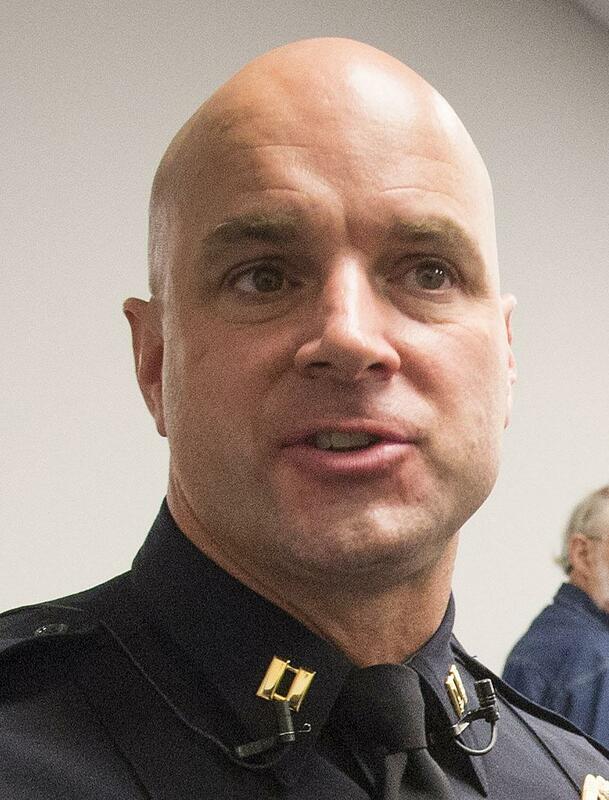 Thu., Dec. 3, 2015, 11:05 p.m.
Interim Spokane police Chief Rick Dobrow has named Capt. Craig Meidl as a temporary assistant chief. Meidl served as assistant chief under former Chief Frank Straub but stepped down about a year into Straub’s tenure, accepting a voluntary demotion with two other high-ranking officers. “He no longer wanted to work in the environment created under former Chief Straub’s administration,” Dobrow said. Meidl said he embraced Straub’s vision for changing the department but had a difference with Straub in the way the former chief was making those changes. Since stepping down, Meidl has been leading the department’s North Precinct in the Hillyard area. He said he’s looking forward to working with Dobrow in moving forward with changes in the department. Dobrow said it was clear two days after he took over as acting chief that he was going to need help. “It wasn’t sustainable for me to do two jobs,” he said. After getting the mayor’s approval to appoint an assistant chief, Dobrow said there were six people interested in the position and he interviewed all six. Meidl had done an excellent job as an assistant chief before he stepped down in January 2014, Dobrow said. “Capt. Craig Meidl really rose to the top of that list,” he said. Dobrow also addressed the fact that Meidl was one of about 50 police officers who saluted Officer Karl Thompson in a federal courtroom after Thompson was convicted of using excessive force and lying to cover up his assault of Otto Zehm in 2006. The issue came up in an interview of Meidl by Mayor David Condon, said Dobrow. “He explained the reasons behind that, apparently to the mayor’s satisfaction,” Dobrow said. Meidl said the officers were honoring the side of Thompson that included four decades of service in the military and law enforcement along with his extensive community outreach. “The majority of the department didn’t see him as a demon because of this one event,” he said. Meidl, who has a military background himself, said his salute after someone said “Present arms” was partly instinctive. He said he was off duty at the time, but as the senior officer present he volunteered to take responsibility for the incident and accept a demotion. He was not disciplined by the department. Published: Dec. 3, 2015, 11:05 p.m. Updated: Dec. 3, 2015, 5:07 p.m.